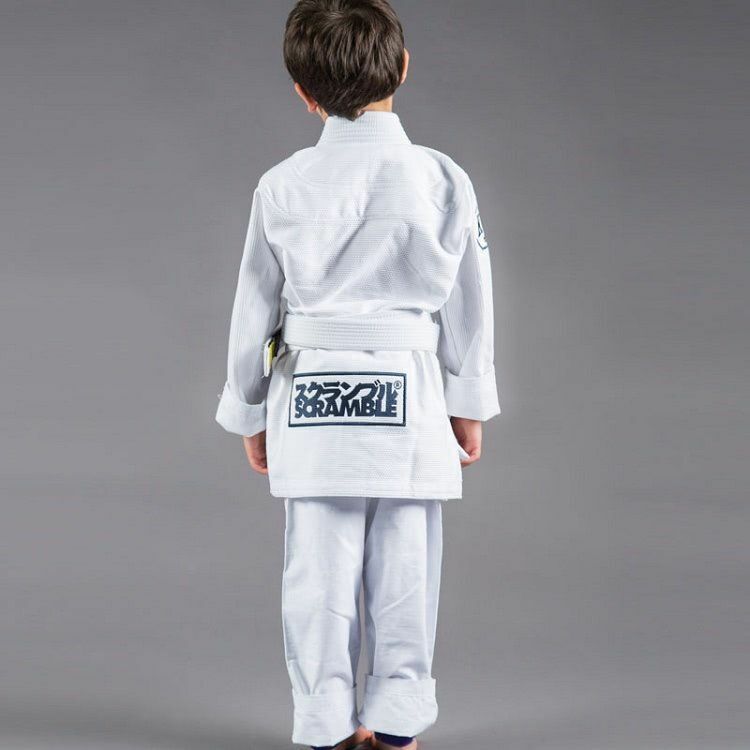 Scramble KID Brazilian Jiu Jitsu gi. 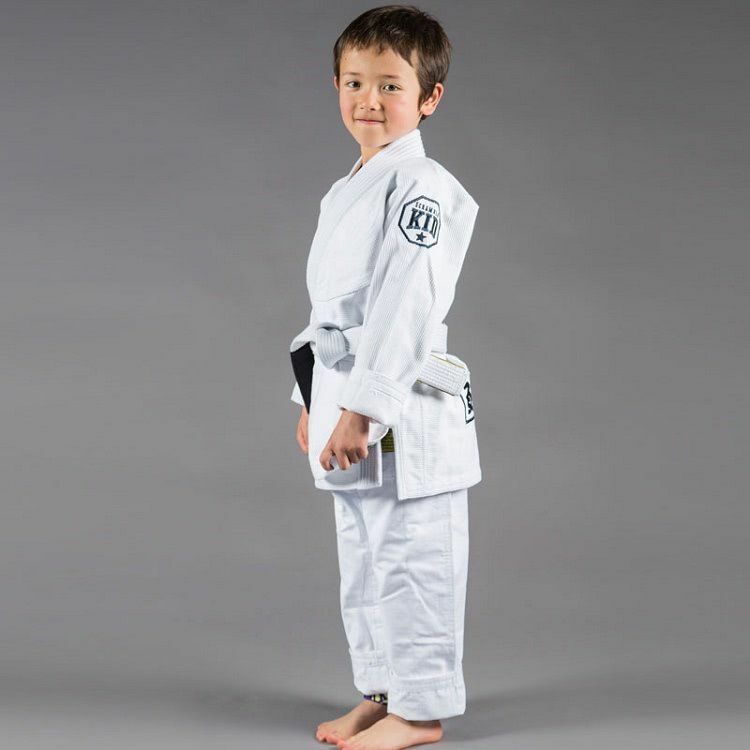 Lightweight but strong pearl with with elasticated and drawstring waist ripstop pants. 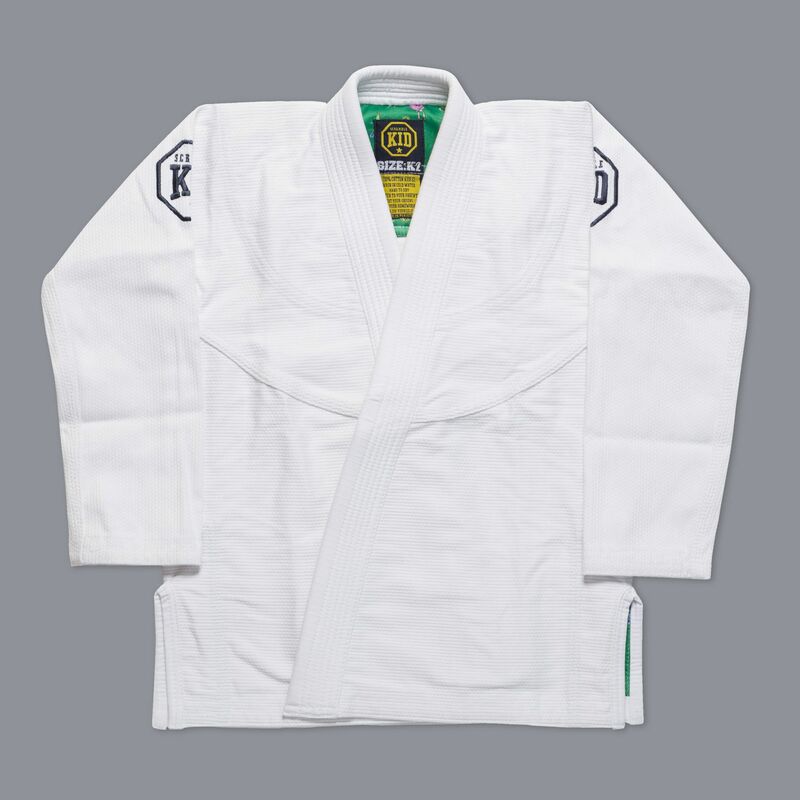 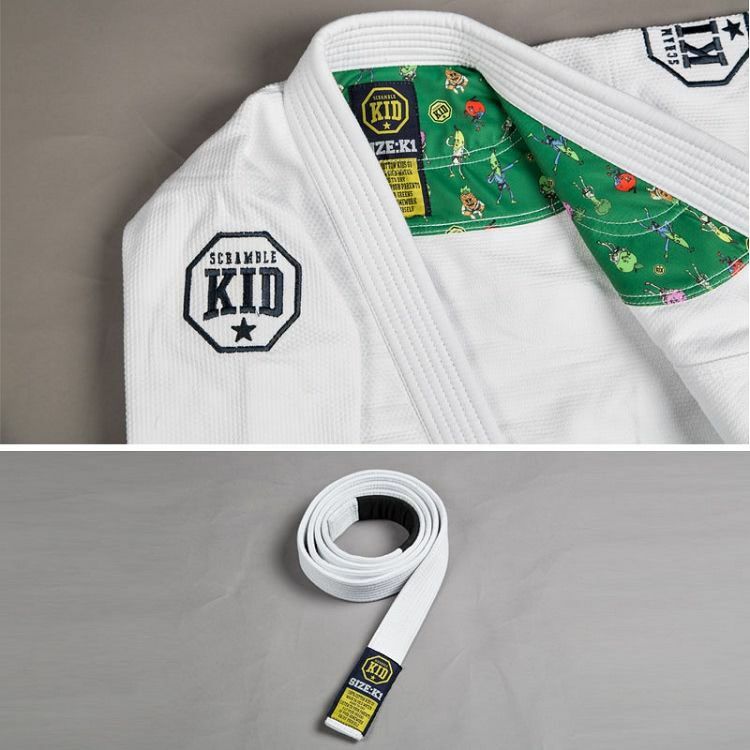 Each Gi comes with free white belt.